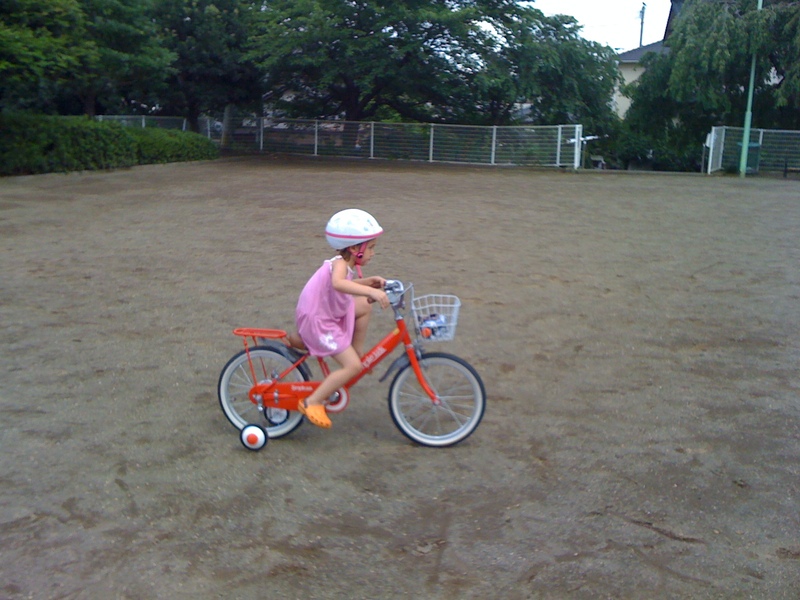 Recently Hana has been getting into cycling – we bought her a new “big girl’s” bicyle a few months ago. Unfortunately, our house is on a big hill so we have few places for her to practice. 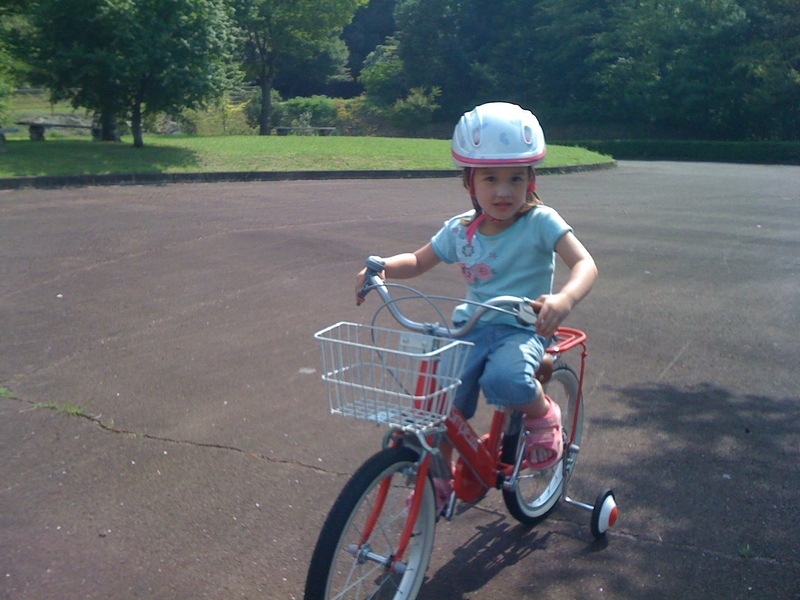 Last week we went to the local park in Ikenohira, which has a nice flat space. **Driver’s hint: from Wasada turn left at the Handsman crossroads (near E English Wasada) and drive towards Notsuharu. Just before Notsuharu there’s a small roadside Takoyaki stall. Turn left there and you’ll see signs. If you get to Lawson and Joyfull you’ve gone too far!! !